Lil Wayne started a one year sentence for being caught in possession of a loaded handgun this week, and officers at the New York jail where he is being held are reportedly not making any allowances for his fame. An officer told website TMZ: "Lil Wayne is not a celebrity in here." Although they have adopted a tough stance, the rapper has reportedly not asked for any preferential treatment since he got to the prison on Tuesday (09.03.10). Meanwhile, the ‘Lollipop’ hitmaker’s ex-wife Atonia Johnson, has spoken to say how hard the news of his jailing has been for her and their daughter, Reginae, as Wayne, 28, has been on the verge of being put away twice, but the sentencing was delayed both times – firstly because he needed dental treatment and secondly because of a fire in the courthouse where he was to be given his sentence. Atonia said: "It was up and down. One minute we thought she was going and she’d be sad and then he didn’t go. "The last day he finally went in, we didn’t go. My daughter was like, ‘I wish I would’ve went.’ It was just too much. I just didn’t want to let her see that again because both times she took it real hard." The day before he was jailed, Wayne spoke to Antonia on the phone to tell her to "be strong". 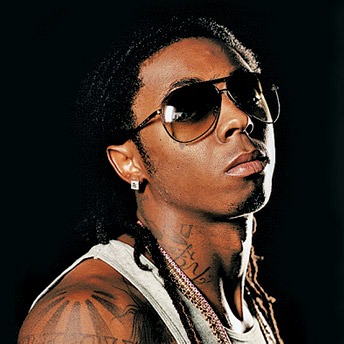 The rapper is expected to serve eight months of his sentence with good behaviour.